The Christian influence upon Mexico changed the music traditions. Cortes and the Christians brought stringed instruments, horns, and woodwinds. With this influence, the mestizo musicians began using the new instruments as well as making their own, leading to theatrical Spanish orchestra between the 16th and 18th centuries which consisted of 2 violins, a harp, and guitars. Many people argue that the word mariachi derives from the French word for marriage. This theory states that the Mexican emperor Maximillian brought with him the French language. 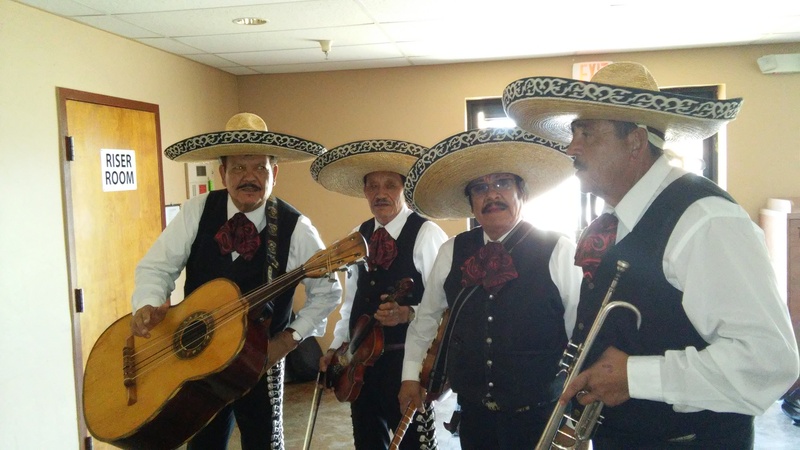 Because Mariachi bands often play at weddings, many feel this is an accurate word-history, however, linguists have found evidence of the word mariachi being in use well before the French invasions. It is more likely the origin is the name of the type of wood used to make the dance platforms used when the bands perform. Mariachi, as it is known today, goes back to the 18th century. Similar styles of groups formed in Huasteca and Veracruz, but it is thought that the Mariachi began in Jalisco. In Cocula (a town in Jalisco), the instruments were the vihuela, violins, and a guitar. Vihuela – very similar to a lute and guitar and used for rhythm. Guitarró – a bass guitar of sorts. Mexican folk harp – used for additional bass lines along with being utilized for the melody. Mariachi is meant to be danced to! You can hardly stand still while listening to this fantastic music. There are two main styles of mariachi dancing you are probably familiar with. Zapateado resembles the Irish Riverdance style, with driving heels of boots into the platform at high speeds to the rhythm of the music. This, unfortunately, will destroy the platforms due to the high impact and forceful pounding. The style called huapango will remind you of a line dance mixed with Riverdance. Much like a line dance, partners line up in rows. But like Riverdance, the only part of their bodies that move is below the waist. The dancers’ torsos are so still and balanced that items are often placed on their heads while they dance to show the muscle control and balance this takes. The jarabe style of dance and music is a combination of different music and performance. From this style, we get the best-known dance related to mariachi – The Mexican Hat Dance! Based in Guadalajara, it is now considered the official dance of Mexico. Overall, the sones depict the farming cultural life of Mexico and therefore the dance moves and music tell those stories. In the next blog post, we will delve into the history of mariachi group clothing. Call Mariachi Allegra de Tucson today to schedule a wonderful Mariachi for your celebratory needs! Summer is the perfect time to get this historic and beautiful sounding group to play for your parties and celebrations! No event is too big or too small for us to make it memorable!